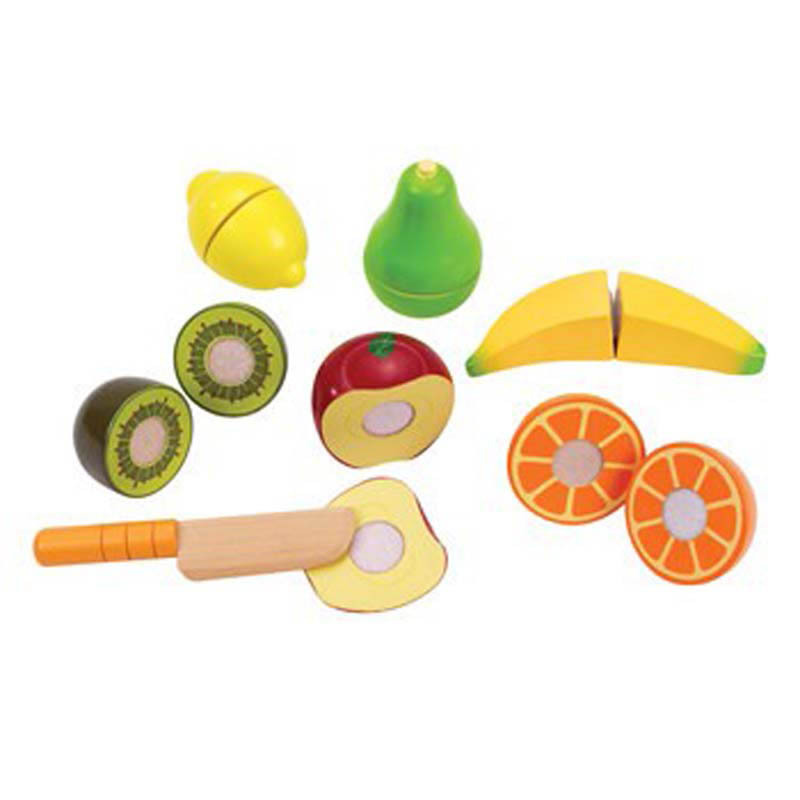 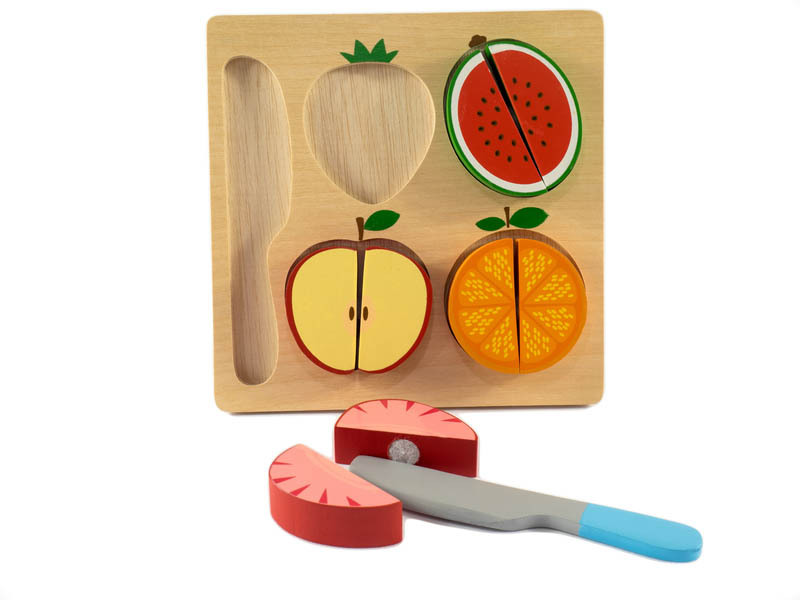 Finally little ones can slice fruit - on their own! 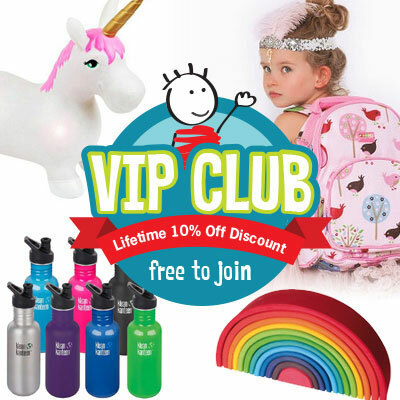 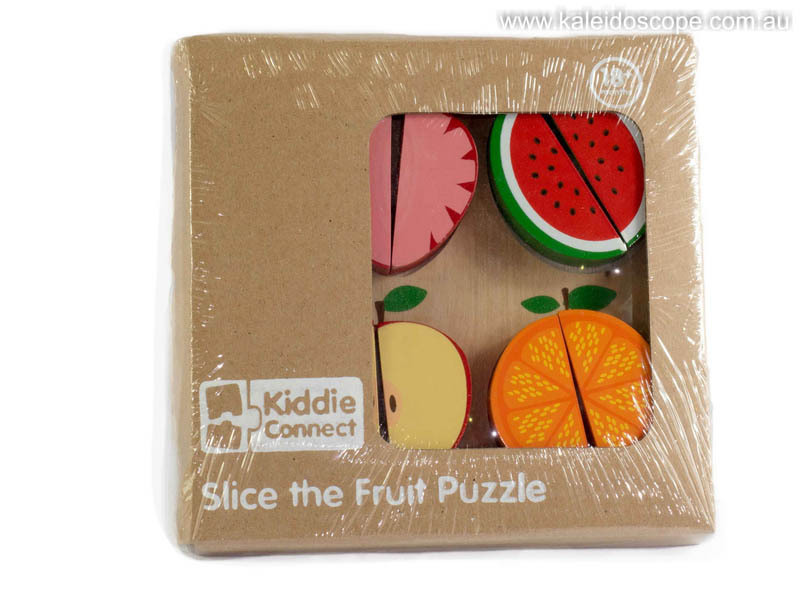 This educational puzzle is the perfect tool to increase your childs gross motor skills, hand eye coordinating, problem solving, shape and colour recognition, and much more! 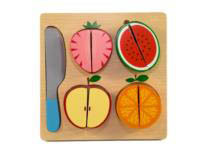 This gorgeous puzzle features bright and solid assorted fruits and a wooden knife to divide the fruits, then velcro back together. 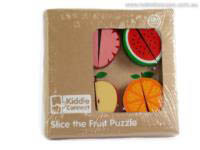 The puzzle can also be used during role play as little chefs in their kitchens!